What’s in our collar collections? 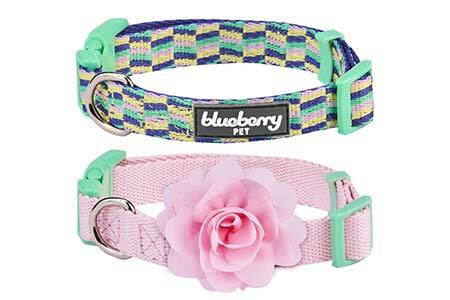 There is so much more color and variety in dog collars than there used to be. And our collections reflect this. We’ve looked at leather in all it’s natural beauty and at a range of different fabrics and styles. 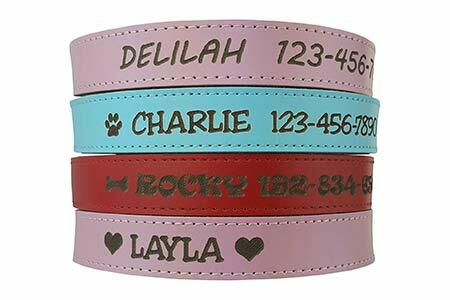 Apart from the puppy section we have looked for collars that are available in Labrador sizes, but you’ll still need to measure your dog’s neck and check the measurements in each style. That’s because a medium in one range can easily be the same size as a large in another range. There doesn’t seem to be any international standard sizing for dogs! Remember also that Labradors, even adults, can vary significantly in their neck measurements, and English or show type Labs may need a larger collar size than American or working type Labs. 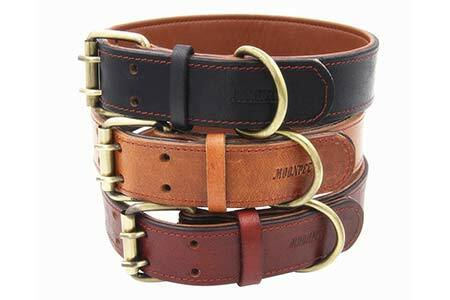 Look for solid brass or stainless steel fittings on leather collars. Cheap metals will rust and your dog is most certainly going to get his collar wet. Leather collars can be wiped with a damp cloth and may benefit from an occasional clean with saddle soap, and/or feeding with a leather moisturiser.